Any educational program is only as good as the people who construct and deliver it. We have assembled the most effective, well-respected, and competent team of professional writers and instructors to create and deliver Kaplan Financial Education's continuing education courses. Mary is the Director of Insurance CE and Professional Development for Kaplan Financial Education. She is responsible for managing the online and classroom CE product line, which includes overseeing content development and managing instructors and subject matter experts. She joined Kaplan in 2004 as an instructor, teaching insurance licensing and CE classes. Soon after, she began managing MN insurance licensing content and eventually moved into the role of managing the national classroom CE business. Prior to joining Kaplan, Mary worked at State Farm Insurance as an auto claims adjuster and agent staff assistant. Mary earned her BS in business, with a minor in speech-communication, from the University of Minnesota’s Carlson School of Management. Jennifer Martin has been with the company since 1991. She began her Kaplan career as a Legal Editor before moving into the continuing education area. She is now the Senior Editor for Property-Casualty Product Development and is responsible for all titles in the property-casualty continuing education course library. Jennifer has a Bachelor of Arts degree in English from Purdue University and has earned the Chartered Property-Casualty Underwriter designation. Nancy Lazar Lamers, J.D., Esq., is currently an Insurance Subject Matter Expert and the Division Manager of Content Development of Insurance Continuing and Professional Education at Kaplan University’s School of Professional and Continuing Education. As Division Manager, Nancy is responsible for managing insurance subject matter experts who develop and maintain over 200 insurance continuing education and professional development courses. As an insurance subject matter expert, she assists in developing and maintaining the Life and Health Insurance CE and PD product lines. Nancy has also authored and revised several Life and Health CE courses. 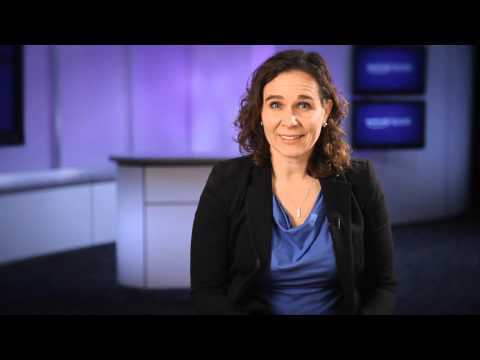 Nancy has worked for Kaplan for 10 years, beginning in early 2005 as an Insurance subject matter expert. Before joining Kaplan, she was an associate writer analyst in employment tax and employment law issues at CCH, Inc. Nancy also was an extern for a U.S. District Court Judge in the Northern District of Illinois, responsible for drafting memorandum opinions on motions pending before the court. Nancy earned her Juris Doctor degree from Loyola University Chicago School of Law and her bachelor’s degree in political science from the University of Michigan-Ann Arbor. Randy is a subject matter expert at Kaplan University. He has spent his entire career in financial services, both in corporate and producer roles. Randy has a master’s degree in personal financial planning and is working on his PhD at the Kansas State Institute for personal financial planning.